Compare Medicare Advantage Plan Part C rates in your area today! What Is Medicare Advantage Part C? The Medicare Advantage Plan Part C, also known as MAPD Medicare, is one kind of Medicare health plan available through private insurance companies contracted with Medicare to provide you all Part A and Part B benefits. Should you be enrolled in MAPD healthcare plans, Medicare services are exclusively covered via private companies, as opposed to Original Medicare. Medicare Advantage is comprised of several private health plans (most commonly HMOs and PPOs). Each plan must cover the same benefits covered under traditional Medicare. Medicare Advantage plans can charge different co-payments, co-insurance, deductibles and max out-of-pockets, depending upon the plan/carrier. Because these plans function as HMOs and PPOs, there are hospital and doctor networks. Often times, insurance companies providing these plans charge monthly premiums on top of the Part B premium; however, Medicare Advantage plan premiums are often more affordable compared to Medicare Supplement (Medigap) plans. Should you desire to avoid going through networks or dealing with referrals, you can also choose Medicare Supplement (Medigap) policies, which allow you to choose any doctor or hospital working with Medicare with no referrals required to visit specialists. Plans like these can be more expensive, but the benefits are typically more ideal. When choosing a Medicare Advantage Plan Part C, you no longer use the benefits associated with Original Medicare Parts A or B. That’s because Medicare Advantage plans typically include Rx drug coverage at no added cost. However, it has been observed that Rx drug coverage usually has higher co-payments compared to stand-alone Medicare Prescription Drug (Part D) plans. Oftentimes, you cannot be enrolled in a Medicare Advantage Part C plan and a stand-alone Part D plan simultaneously. Most commonly, the way to get traditional Part D coverage is to obtain Original Medicare along with Medicare Supplement (Medigap) coverage. Should you desire to take this path, then most people have three options: Original Medicare, Medicare Supplement (Medigap) and Prescription Drugs (Part D), which replace Medicare Advantage plans. Medicare Supplement plans typically feature higher premiums, but the benefits and networks are much more ideal. Certain Medicare Advantage plans cover routine hearing and vision services as a separate package (for an additional premium). All plans are legally obligated to have annual limits on out-of-pocket expenses. Another difference is that most policies require you to pay a higher premium should you visit a doctor or specialist outside the network. The Medicare Advantage MAPD Disenrollment Period begins on January 1st and lasts through February 14th every year. During this time period, beneficiaries can opt to switch between MA plans and traditional Medicare. With MAPD Medicare, one can also choose to enroll in a Medicare Part D Prescription Drugs plan. 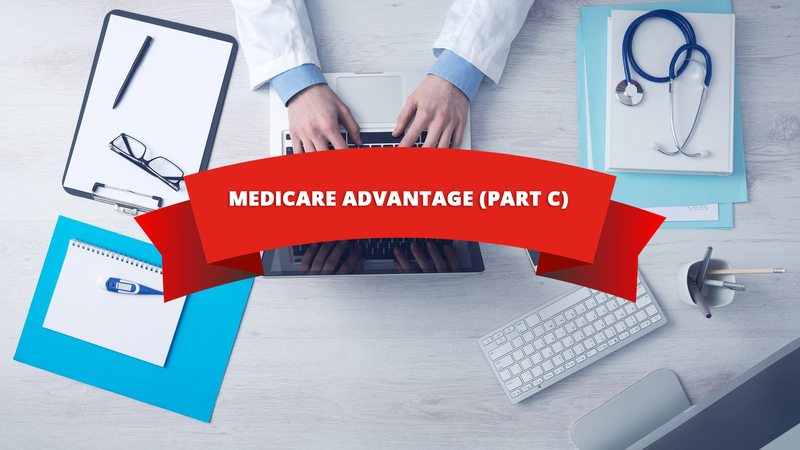 We are often asked, What is Medicare Advantage Part C and what are the pros and cons? Read below to find out! These are typically cheaper compared to Medicare Supplement plans. These normally include Rx drug coverage. They can be switched once per year (within the annual enrollment period, in which acceptance is guaranteed). SOME plans include dental and vision coverage. • Because they are cheaper, the benefits are often lacking compared to Medigap plans. • One must deal with networks of hospitals and doctors (unlike Medicare Supplements or Medigap, which allows the insured to visit any doctor or hospital accepting Medicare). • Plan benefits and premiums usually change once per annum (January 1st). While this isn’t inherently a bad thing, we have observed that costs tend to rise and benefits decrease. There is a lot more information to be covered regarding these plans. In order to make sure that you’re choosing the best MAPD healthcare plan for your needs, do not hesitate to give us a call, and our highly trained Medicare agents will be available to assist you. We can answer any questions you may have regarding the MAPD disenrollment period and healthcare. Get the Cheapest Medicare Advantage Plan Part CRates! If you've been asking, What is Medicare Advantage Part C? Speak to one of our licensed Medicare agents to get the best rates today!